David Brim is a serial entrepreneur, investor and private lender focused on funding early stage companies and real estate projects. 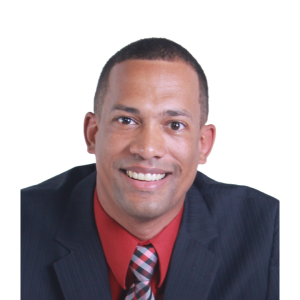 He is the Managing Director of Founder Funders, Chief Strategy Officer & Founding Partner at Orlando Opportunity Fund, and Founder of Orlando Entrepreneurs (OrlandoEntrepreneurs.org). A graduate of the University of Central Florida, where he majored in marketing, David is the only two-time winner of the school’s Joust Business Plan Competition and was also a finalist in the in the Sunshine State Venture Challenge, and the Nascent 500 Business Challenge in Indianapolis. David has been involved in many early stage ventures across a variety of industries and has special interest and expertise in online lead generation, Software as a Service (SaaS), ecommerce, and real estate. He has been featured in one of the most popular entrepreneurship textbooks Successfully Launching New Ventures & interviewed on Fox, ABC & CBS about topics such as entrepreneurship & internet marketing. In 2013 he wrote a book on digital marketing that reached #13 on Amazon’s Best Seller list within its category. It was also used in UCF Marketing classes. David provides marketing consulting to startups and second stage companies through Brand Advance, a marketing firm he founded in 2009. He has worked with over 1,000 second stage businesses ($1M-$10M in sales) through Economic Gardening – an entrepreneurial approach to Economic Development. Prior to founding Brand Advance, he helped develop the premium influencer program at IZEA. In that role he helped plan, execute & measure social campaigns & connected online influencers with brands such as SeaWorld, Kmart, Microsoft & more. During that time David also co-founded GroupTable, a collaboration software with 10k users at the time of exit. According to Mashable “The entire makeup of the service is quite impressive. Powerful but not overwhelming”. David has a passion for helping to fund and scale businesses and real estate projects. In 2018 he co-founded the Orlando Opportunity Fund, focused on investing in business and real estate projects in Central Florida Opportunity Zones. He currently serves as Chief Strategy Officer and sits on the investment committee. David is active in the Central Florida community and mentors numerous businesses through organizations such as StarterStudio, Startup Weekend, Lift Orlando, the University of Central Florida, and more. He is on the advisory board of IDEAS FOR US, a United Nations–accredited non-governmental organization which works to advance sustainability through local action projects. He also sits on the board of Crossroads Corral, a nonprofit co-founded by his wife Lindsay that promotes personal growth, hope and healing through horses. When he’s not working David enjoys playing basketball, fishing, traveling, self-improvement, mentoring and spending time with his wife Lindsay, two children and pets (horses, dog, and cat).